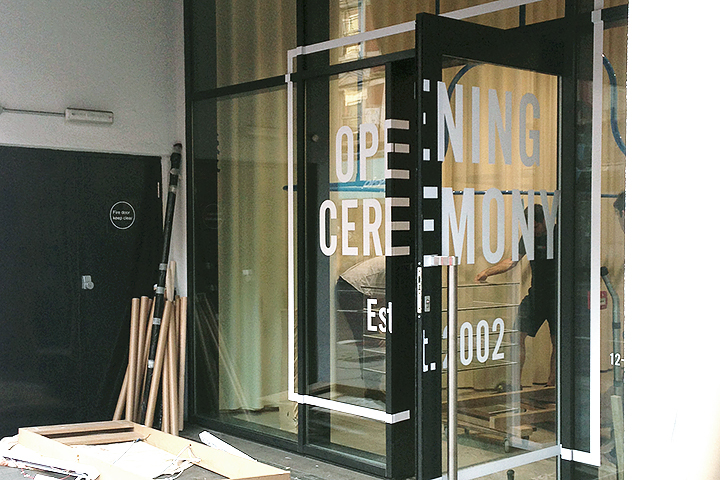 Opening Ceremony are set to open a pop-up store in Ace Hotel in Shoreditch at the end of the month. Located at 106 Shoreditch High Street, the store will reside in an attachment to Ace Hotel, much like in the New York hotel, which opened an Opening Ceremony “pop-up” in 2010 that is still open. The opening of the Shoreditch pop-up coincides with the closing of the Covent Garden retail space for refurbishment. Wether or not this pop-up will be permanent has been left open, with no mention of a closing date. If the New York OC x AH space is anything to go by, we may have a new permanent fixture to Shoreditch High Street. As well as stocking both the mens and womens collections from Opening Ceremony, the store will also house local NewGen designers Faustine Steinmetz and Marques’Almeida to put a local touch on the store. I wouldn’t be surprised if it started stocking the Opening Ceremony x adidas Originals collaborative collection also, considering the location of the store. Keep your eyes on the location (seen above) in the next few weeks as it completes construction. No date has been mentioned for an opening, but it’s been said to be the end of July.